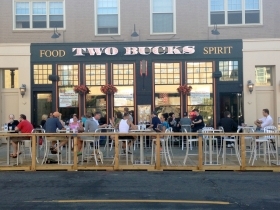 Address: 2321 N. Murray Ave.
Two Bucks Milwaukee is a tavern on N. Murray Ave. on Milwaukee’s East Side. 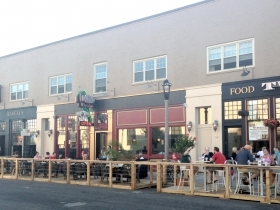 On May 1st, 2015 an incident took place involving patrons, staff and one of the tavern owners, Lynn Forthaus. 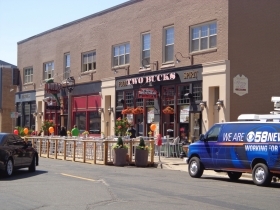 On May 6th, 2015, Two Bucks of America announced they were revoking Two Bucks Milwaukee franchise. 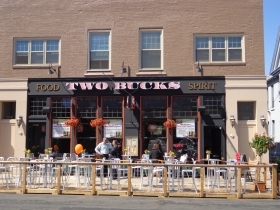 According to a Facebook post, the tavern had 24 hours to remove all Two Bucks branding. 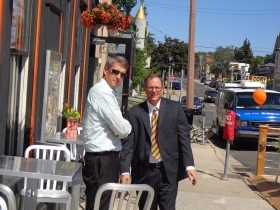 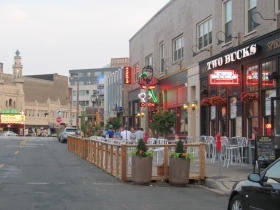 The bar was an early proponent of parklets in Milwaukee, having one installed in front of their tavern and the adjacent Divino restaurant.